Glencoe was one of the crucibles of the developing pastime of mountaineering in the late Victorian era and remains one of the most popular climbing and walking venues in the country. 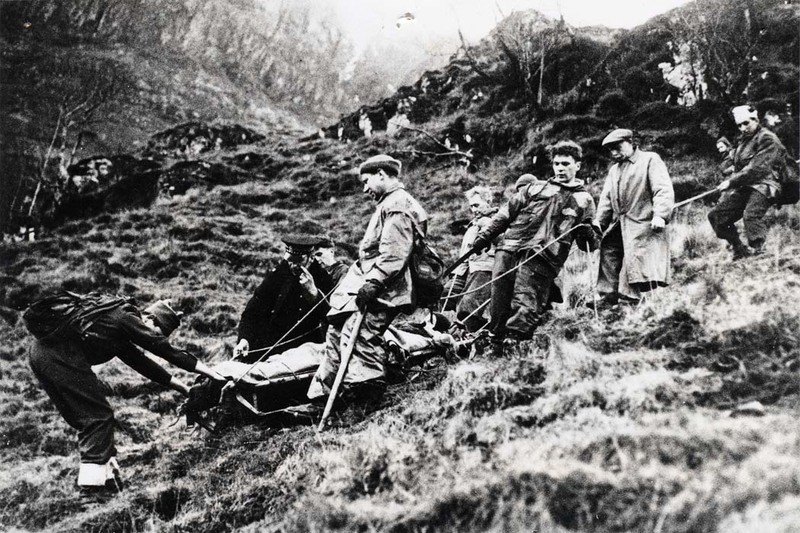 The few climbing accidents in the early years were dealt with by Scottish Mountaineering Club members summoned by telegraph or BBC Radio from Glasgow and Edinburgh, local shepherds and other parties climbing in the area. 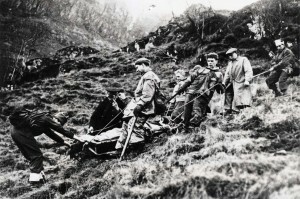 In 1925 there is record of a busload of Glencoe and Ballachulish men from the slate quarries who went to Beinn Achalader to help search for a missing hill walker; an early example of an organised local team. 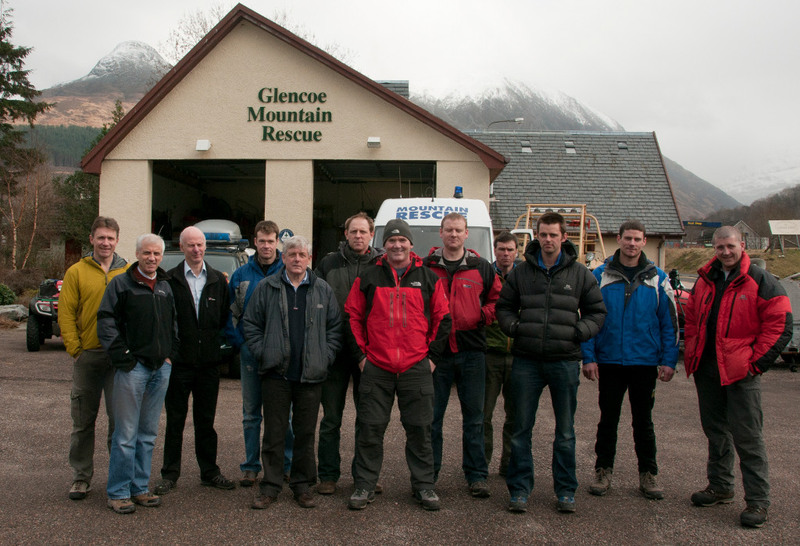 In 1959 Hamish MacInnes came to live in the Glen and in 1961 was instrumental in forming the Glencoe Mountain Rescue Association. He was to serve as team leader for more than thirty years and become an internationally renowned rescue expert, developing equipment and techniques in Glen Coe. The workhorses of the team were the local shepherds, the Elliot brothers and Huan Findlay, who swapped their hird laddies and crummocks for ice axe and crampons to become accomplished mountaineers. Technical climbing skills were provided by some of Scotland’s finest climbers working as instructors at the climbing schools set up by MacInnes and Ian Clough. The last fifty years have seen many changes. The minutes of the 1962 Annual General Meeting show an income of forty one pounds eight shillings and six pence. Today we spend over £80,000.00 per year. Over the years we have acquired a purpose built headquarters, ATV’s, command vehicles, boat and a host of related equipment. Each of our members is equipped with the very best gear available. In the early years we dealt with a dozen incidents per year, now we handle up to eighty. In the 1960s we had no radios; today all members have at least one handheld set and five hill top repeater stations give us a massive radio coverage, backed up by satellite phone. 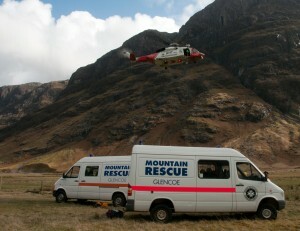 Rudimentary first-aid has given way to advanced medical intervention helping the injured high on the hills. Membership of Glencoe Rescue stands at thirty, all prepared to turn out in any conditions. We aim to have vehicles leaving our centre within six minutes of receiving a call. 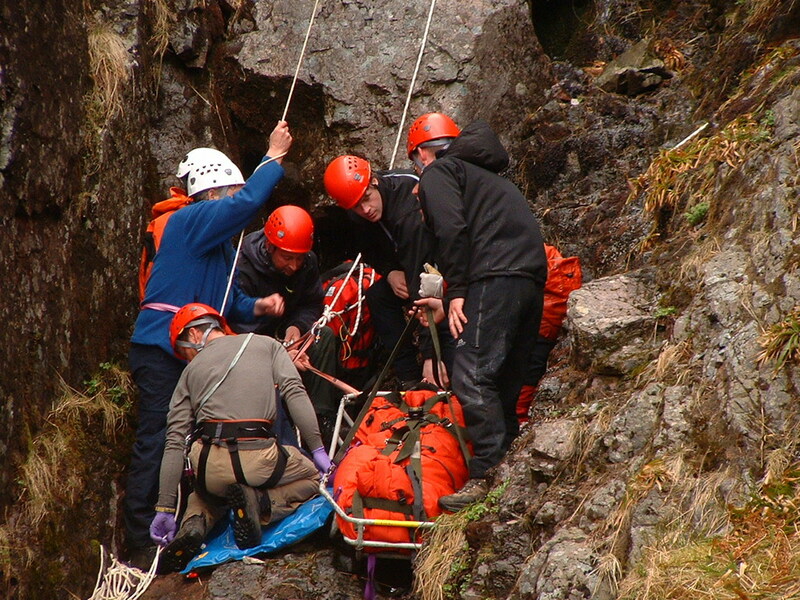 Our medical team, doctor and two paramedics, is supported by many `CAS CARE’ qualified members, trained to a high standard to deal with mountain trauma and administer drugs. We wish to thank all who have generously donated to our charity; without your help we could not provide this vital emergency service.